Yum! 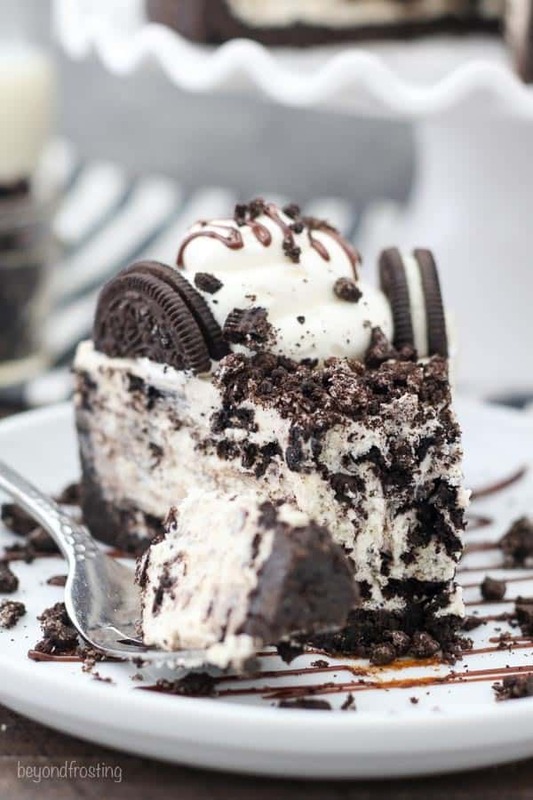 Cheesecake and oreos are the perfect combo! Next time you have a craving for good ol’ Oreos, try out this scrumptious dessert recipe that’s also ridiculously easy to make. Oreo cheesecake cookies, which combine the decadent flavor of cheesecake and the classic chocolate cookie taste of Oreos, are a guaranteed crowd pleaser. 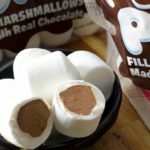 Blogger Cookies and Cups’ recipe is simple to follow and provides plenty of tips for the baking process. All you need to whip up these delicious treats is butter, cream cheese, sugar, vanilla, flour and Oreos. Once you have your ingredients, it only takes a few easy steps to put these cookies together, making it a great, quick recipe to bake with kids. To make the dough, start by mixing the butter and cream cheese together. Then toss in the vanilla, sugar and flour. Lastly, crumble up about 15 Oreos, and add the crushed up cookies to the mix. Cookies and Cups suggests chilling the dough for about an hour in order to make scooping it onto a baking sheet easier. After the dough cools, use a cookie scoop to transfer it onto a lined baking sheet and bake for about 10 minutes until the edges are golden. 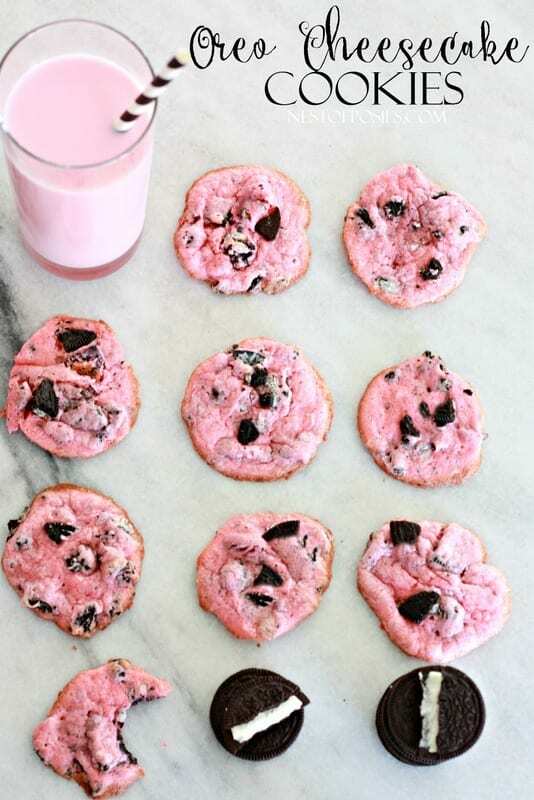 If you’re looking to add a colorful twist to the cookies, you can add just a few drops of red food coloring to turn them into a lovely shade of light pink. Check out Blogger Nest of Posies recipe post to see how to see how good they look. Delicious and festive! For another simple recipe that’s loaded with Oreo flavor, try out this no-bake Oreo cheesecake from the blog Beyond Frosting. Made with homemade whipped cream (no Cool Whip here, she states! ), this dessert is rich and indulgent. 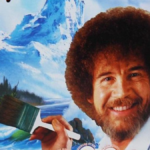 To make things even better? It requires no time in the oven! She mixes white chocolate into the base of the recipe, making it more unique than most Oreo cheesecake recipes we’ve seen. If you’re one of those people who lick the middle of the Oreo before eating the actual cookie, you’ll die for the cheesecake filling. It tastes basically just like the real Oreo creme filling. Add in a thick Oreo cookie crust and a topping made of even more cookies and crumbles, and you have a dessert that tastes just as impressive as it looks. 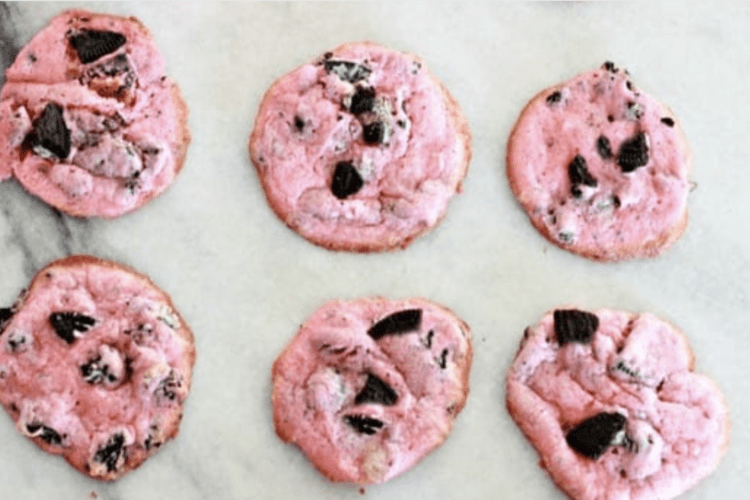 Do you have any favorite Oreo recipes?